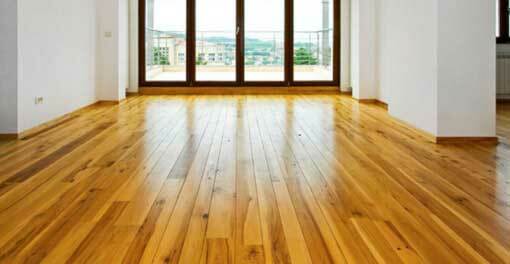 Wood floors add warmth and character to any home, but they can be difficult to maintain. Between dents, scratches, and general wear, wood floors tend to take more of a beating than other variations of flooring. If you have hardwood floors anywhere throughout your home, these hacks will help you to restore them without calling in a pricey professional. Permanent marker stains happen. But it’s a shame when they happen on our hardwood floors. To remove them, dab on a bit of toothpaste. Let it sit for 10 minutes, then wipe it away with a clean cloth. There’s no battle quite like the one involving getting gum off of hardwood floors. To remove stuck-on gum, just hold an ice cube up to it. Once the gum freezes, you can carefully begin to scrape it away with a razor blade or other sharp tool. Magic erasers aren’t just for dirty walls. 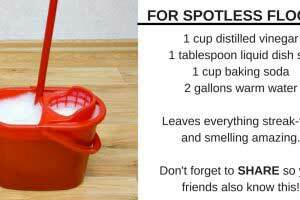 They work wonders when it comes to floor scuffs and surface scratches. 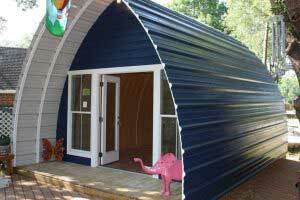 A cheap alternative to an expensive problem! 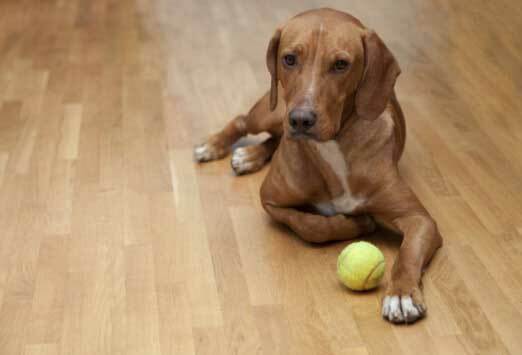 If your pet has an accident in the house, their urine can soak into hardwood floors and leave behind an unpleasant smell. 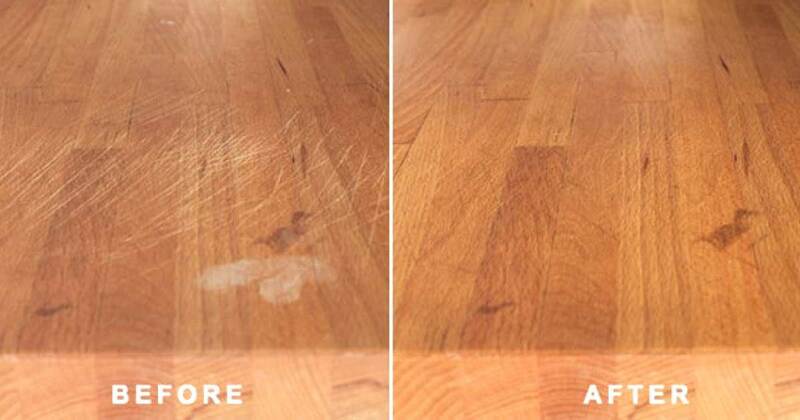 Just dump some baking soda over the stain, let it sit for a few hours, then use a floor cleaner to complete the job. If you spot an unsightly dent in your floor, place a drop or two of water on dent, then place a damp cloth over top of it. Iron over the damp cloth for a few minutes and the floor should swell back up to normal. 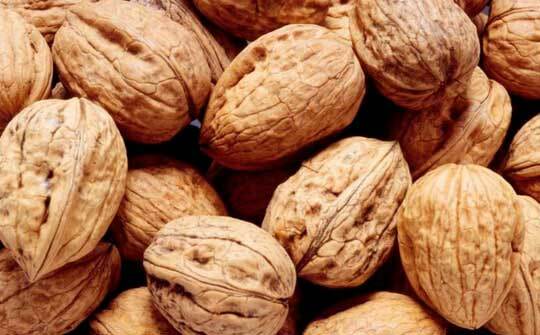 This might sound odd, but the shell of a walnut is an excellent tool for lessening the appearance of scratches. Just gently rub the walnut back and forth across the scratch and it should buff right out. 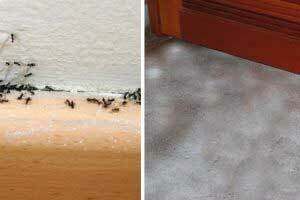 If you’re sick of creaky and squeaky floors, just sprinkle some baby powder over top of them. 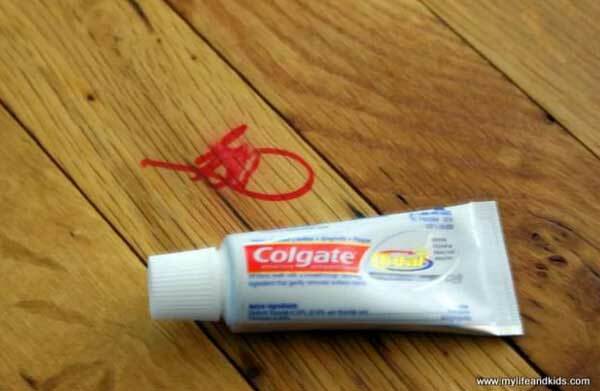 Use a toothbrush or rag to move the baby powder into the cracks, then wipe or sweep away the excess. 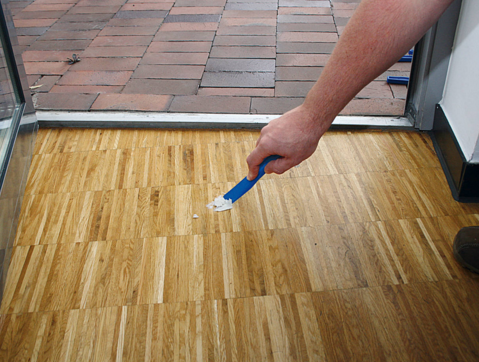 Hardwood gets dried out quite easily, so it needs to be conditioned from time to time. 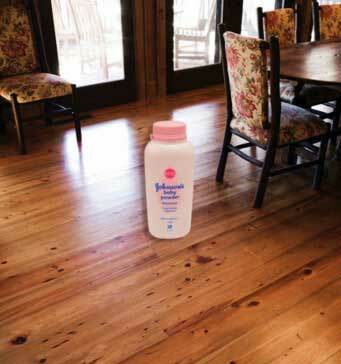 Click here to find out how to make your own wood floor polish using ingredients you already have in your home. 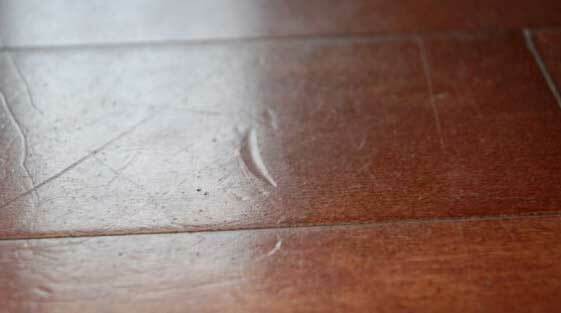 Sliding furniture is a huge culprit in floor scratches and dents. 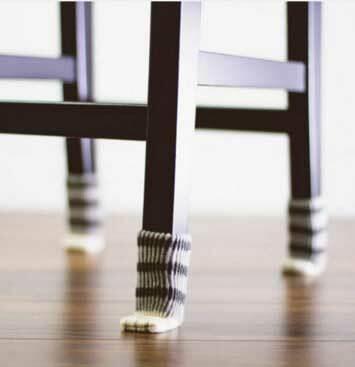 Ensure that all of your furniture legs have protective pads on them, and put baby socks on furniture legs when you’re moving or rearranging a space.